The term lingual braces refers to the attachment of a brace on the inner surface of the tooth, inside the mouth, where they cannot be seen. They are totally inconspicuous. 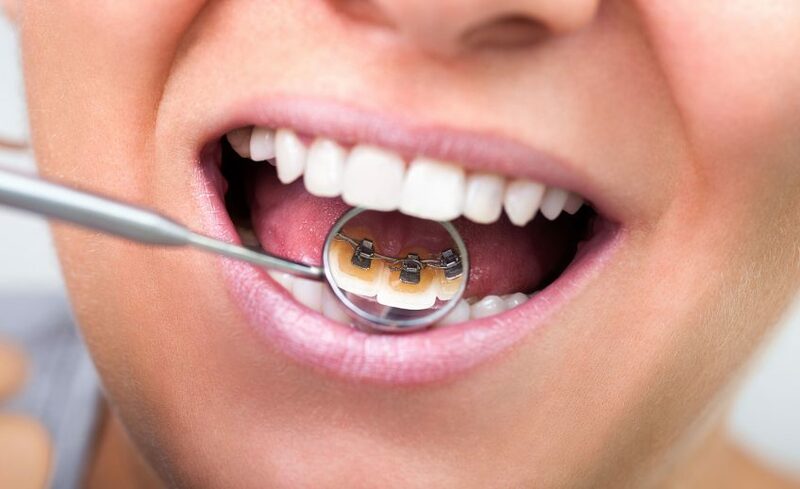 This would allow your teeth to be straightened without worrying about your appearance being affected during treatment. The lingual appliance (system) we use is the “Incognito System”. Further information can be obtained from the following website www.incognitobraces.com.au Age does not limit the use of lingual braces. However it may be more difficult to construct the appliance for children since their teeth may not have fully erupted. If the teeth are small in dimension it is more difficult to fit the appliance. Most people do notice a temporary change in their speech but this generally improves within a short space of time.The cost of lingual braces is more than conventional braces.